Greetings friends and fellow crafters. I had the pleasure of getting a bunch of Sunsational stamps clear stamps in the mail last weekend, and have been having fun with them. 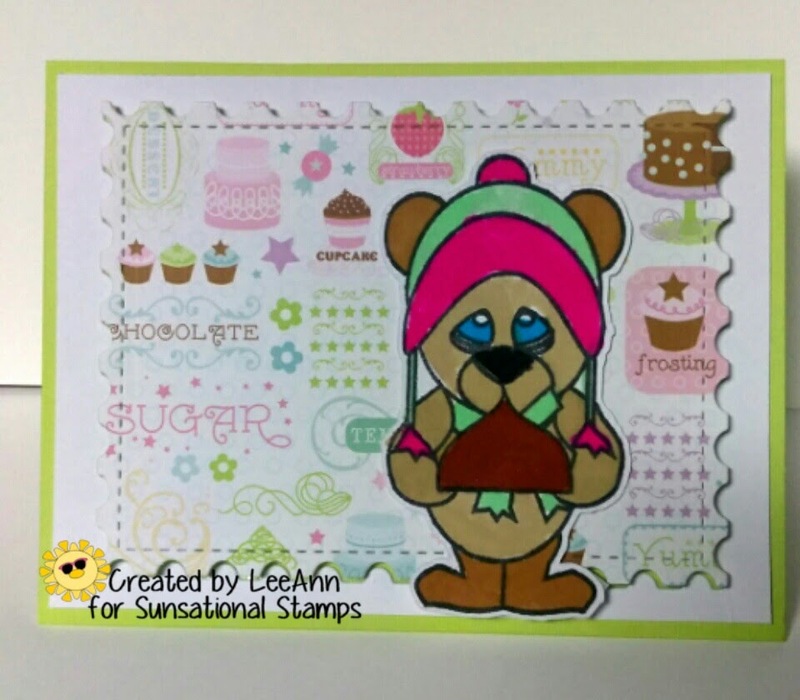 This set is called Addicted to Chocolate and comes with three awesome bears and the sentiment. 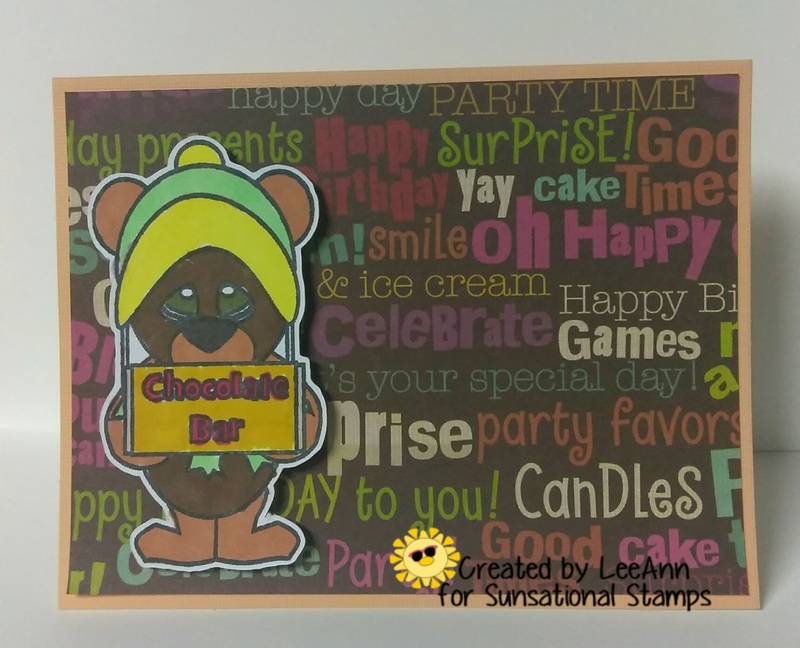 What is great is each bear has its favorite chocolate. Using some fun background paper, I went to work. 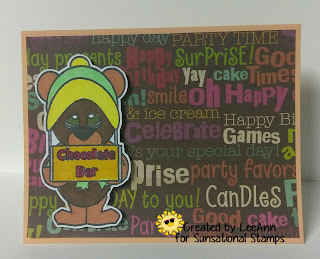 This background paper is from a Die Cuts With A View paper pack, this little bear loves her chocolate bards. Colored with Spectrum Noirs. This is background paper is from a Doodlebug 6x6 pack. Also colored with Spectrum Noirs and he loves his cocoa. 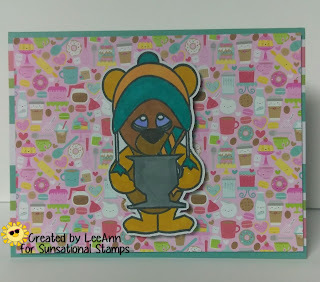 This background paper is also from a Doodlebug 6x6 pack. Colored with Spectrum Noirs and loving kisses. 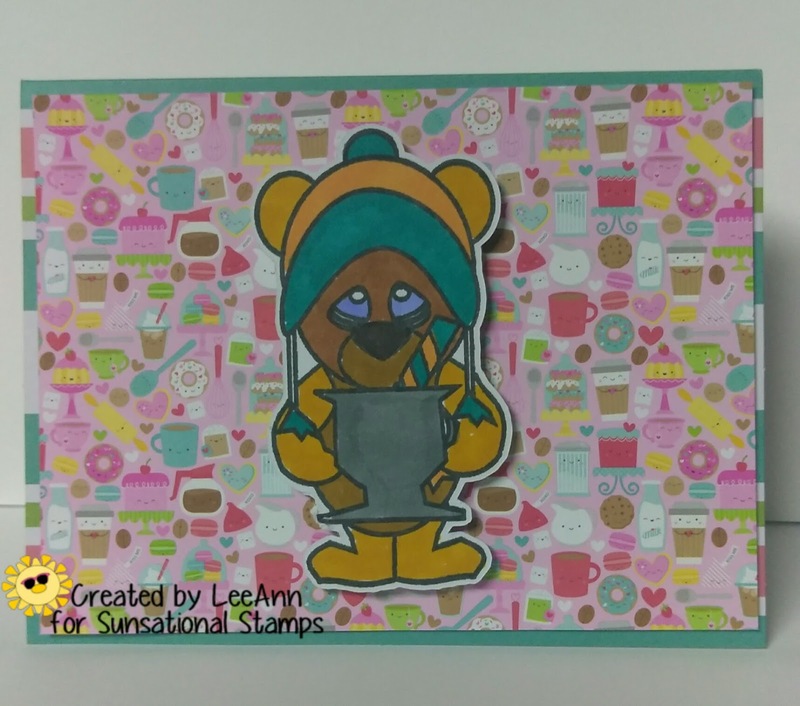 If you haven't checked out this months challenge yet, the theme is Christmas in July, the link is here, looking for your projects.